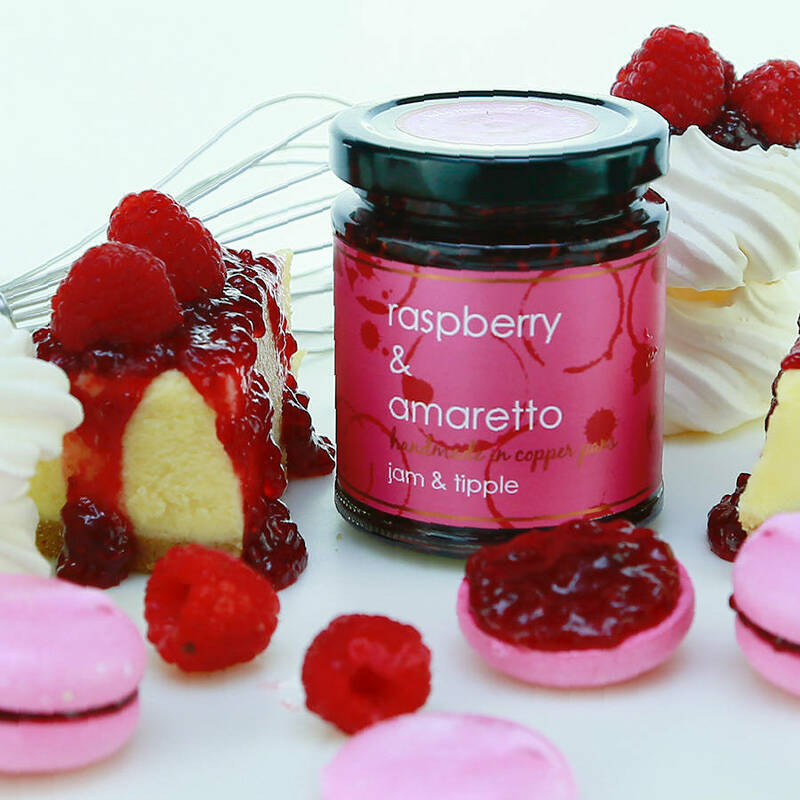 A beautiful and vibrant raspberry jam laced with amaretto. If you love bakewell tart, then you'll love this jam! Fruity raspberries with undertones of marzipan! Made by Jam & Tipple to a traditional recipe, succulent bright raspberries are lovingly hand prepared and cooked in copper pans. Combined with a tipple of sweet Italian, amber-coloured Amaretto this jam delivers a mouth-watering taste sensation. Excellent topped on just about any kind of breakfast bread, or even stirred into oatmeal. Fancy a quick parfait? Simply layer with your favourite ice cream for a scrumptious experience. sugar, raspberries (45%), amaretto (6%), pectin, citric acid. Prepared with 45g of fruit per 100g. Total sugar content 63g per 100g. Suitable for vegetarians. This product is dispatched to you by Luxury Creations.